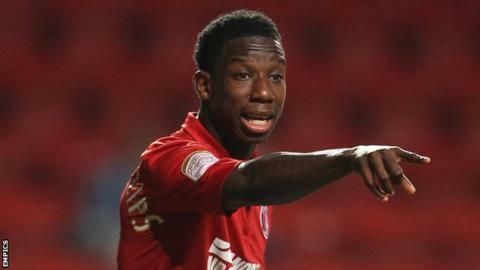 Brentford have completed the loan signing of Charlton Athletic striker Bradley Wright-Phillips. The 27-year-old, whose contract expires this summer, joins the League One side on a deal until the end of the season. Wright-Phillips scored 22 goals as the Addicks won the League One title last season, but has managed only one in 21 appearances in the current campaign. "Bradley is a player we have been looking at for a long time," Brentford sporting director Mark Warburton said. Warburton told the club website: "He is a proven scorer in this division and hopefully he can help us achieve our aims and ambitions for the season. "He is a player that was chased by teams in the Championship and some of our rivals for promotion this season, so we are delighted we could secure him. "He had an outstanding season in League One last season and hopefully he can continue that form this time around." Wright-Phillips began his career at Manchester City and went on to play for Southampton and Plymouth Argyle before joining Charlton in January 2011. In total, he has scored 31 goals in 87 appearances for the Addicks.